Track was on the left up York Hill just over the railway bridge, West Norwood, South East London SE27. Situated somewhere at the rear of the old Sydenham Gas Works. 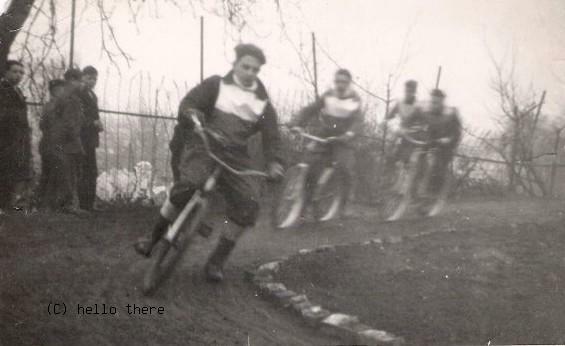 One of the very early teams racing in 1946 prior to the Leagues being invented. Roy Murrant, one of the West Norwood riders, remembers that most of the early tracks were on bomb sites, and that the starting gate was a piece of elastic stretched across the track. 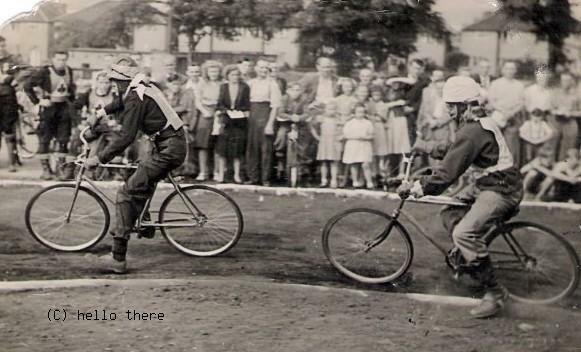 After a while crash helmets were introduced, these having to be worn during racing.